“Your health and time aren’t worth to bear with what goes on within the four walls of the classroom! In addition there is no career development! ”. This is what my parents used to tell on my idea to become a teacher some years ago. They still consider teaching in secondary schools as a troublesome and complicated job with no prosperous future. Indeed, teaching is a difficult task and has its challenges. Teachers are precariously intensified. Open-endedness of this profession makes teachers work ten months a year without any break. Great accountability to parents and administration, responsibilities as a social worker, care for students are all part of the teachers’ work. Also, because of the knowledge explosion and students’ high expectations teachers are supposed to be the most skilled and flexible. Innovations and integration of new technology into teaching exacerbate the overload problem as well. Consequently, unconformity of workload and salary (which can be considered as another challenge) leads to superficial performance and poor quality of teaching. Hargreaves (1994) states, “intensification reduces area of discretion, inhibits involvement in and control over longer-term planning” (p.118). Moreover, intensification raises the feeling of guilt in teachers: a sense of having done something badly and being professionally unproductive. Moreover, traditionally teaching has been a relatively ‘flat’ career (Fullan and Hargreaves, 2010, p.19). The only way to expand teacher’s role in school is to move away from the classroom into administration. However, not every teacher has a chance to become an administrator. Therefore teachers spend many years in a classroom usually without substantial outside stimulation what consequently reduces commitment, motivation and effectiveness. Good ideas and innovations developed by individual teachers are often not supported and refused due to the finance shortage and prescribed curriculum. Thus, spending years preforming the same role may be really diminishing. To sum up, teaching has its challenges as any other professions do. However, teachers should take initiatives themselves, not just in requiring better conditions and insisting unreasonable demands, but also in making constructive improvements of their own. Only then there will be a lot of great teachers, who despite any problems, will make schools more interesting places to be. Hargreaves, A. (1995). Changing Teachers, Changing Times. Teachers’ Work and Culture in the Postmodern Age. London: Cassell. It was easy to read and valuable post! I think it is the matter of leadership to raise teachers’ status in the country. As a person who has tried the taste of “teaching”, I completely agree that teaching is a challenging job. But when you do what you love, it is far from being “a slave” of your career. After teaching some time I came to conclusion that teachers are engines; engines who bring up upcoming generation. That means we are powerful tools to manipulate chidren either for good or bad actions. A teacher is like a gardener: if you “water” students, they start to flourish but if you don’t your students start to rot. Talking about “flat” career is another truth. I think it usually happens when teachers are overloaded with trashy paper works. However, I am far away to blame this case, because I do not have better solution for that. Finally, teachers become those who dare for that. It pays back when you see your students do better than you. Teacers can survive without a country, but countries can NOT survive without TEACHERS!!! Thank you for your post which conveys really interesting ideas. However, I found your final thoughts concerning the initiatives which teachers should do a bit opposite to mine. 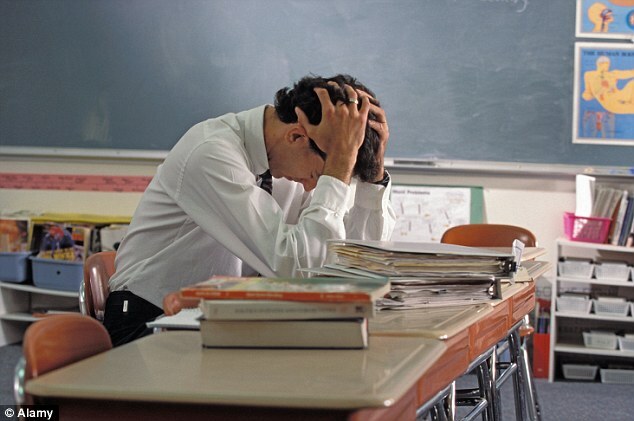 I do not claim that you are wrong, but I do not think that teachers really insist on “unreasonable demands”. In fact, I have not worked at school, but I know how stressful and demanding this job is from my acquaintances and friends who work as teachers. And I also know how few privileges they have comparing to the formidable amount of work and endless pressure from administration and parents. Therefore, teacher DO really HAVE TO insist on better conditions and benefits from their work. As for “making constructive improvements of their own”, you are absolutely right. However, if to look at the US context, I have always been fascinated by the ways their teachers spend much of their time on decorating their classrooms, preparing creative and interesting handouts for students and applying innovative teaching methods. Nevertheless, a teaching profession in the USA is still not appealing to people because its status is really low there. Parents scorn and blame teachers for bad results of their children on tests and make the lives of teachers really like a nightmare. I am sure, that we first have to change the attitudes of our society towards a teaching profession so that individuals will be aspired to pursue this profession. Otherwise, no one will be willing to improve as there are simply no incentives and no point for teachers to do improvements which our society will not appreciate anyway.